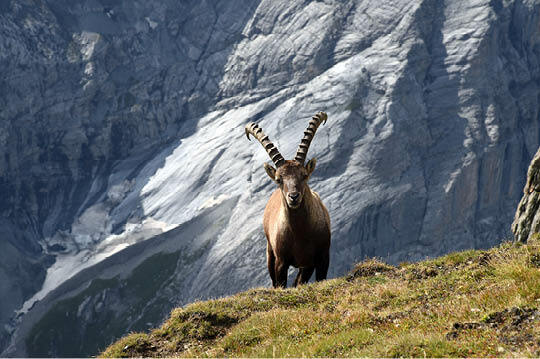 The mountain goat is a powerful animal that lives an independent existence in challenging terrain. Willing to go it alone, the Pale Goat is not afraid to try new directions in its quest for survival. Climbing to ever higher elevations at impossible angles, the Pale Goat will choose the road less traveled to get to extraordinary places rather than taking a path more traveled and moving with the common herd. What does the Pale Goat mean to TechStar? We are a company that is proud of the tenacity that has made us who we are today. In 2001, we began our journey along a path less travelled. We believe that success was not in the number of products one could represent but, rather, in finding a select few products that provided the quality customers wanted and needed. TechStar has come a long way since 2001, but our core philosophy remains the same: seek out product lines that provide superior technology and furnish our customers with extraordinary service before and after the sale. Our team says it best: I am the Pale Goat. "My sales rep is ALWAYS extremely helpful and responsive." "Every experience I have ever had with Techstar over the past 10 years has been exceptional." "I am very pleased with Techstar, everything from product availability to customer service is on par. Great job! " "Inside and outside personal have been very helpful every time I needed them." "The outside sales rep for our area does a great job making sure he is engaged with his customer's needs, and making sure his customers ." "They are always there when I need assistance. Both with inside sales or technical service."